It is an all most familiar pattern, as Singapore banking enterprises have been picking up assets and acquiring wealth management and retail banking arms of foreign players that have retreated the rough terrain of the Singapore market. But as much as Singapore banks are locked in a race to expand their wealth management businesses, they are also competing with larger Western rivals such as UBS Group AG. Furthermore, Singapore banks also have to keep up with the city-state financial ambitions of being the key financial hub in Asia. But even among local banks, DBS Bank and Bank of Singapore are the most intense to ramp up on its offerings. As the two banks combined have already announced at least US$400 million worth of acquisitions for the year 2016 alone. Bringing an update on their most recent purchase, OCBC who wholly owns Bank of Singapore has completed its purchase of Britain’s Barclays Pic’s wealth-management units in Singapore and Hong Kong on Monday for S$ 324.5 million (about US$227.5 million) while DBS has announced last month that it will buy Asian retail and wealth businesses from Australia and New Zealand (ANZ) Banking Group Ltd’s wealth businesses in five Asian countries for about US$110 million. 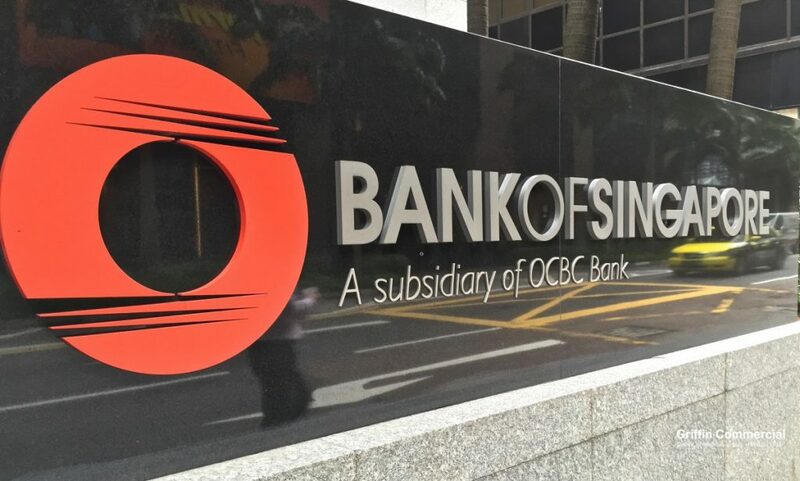 Bank of Singapore (BoS) was formed in 2010 from the combination of the former ING Asia Private Bank business and OCBC Private Banking business. It grew its starting asset under management of US$22 billion to US$62 billion in September 2016, riding on its strong investment capabilities as well as wealth planning and premium advisory services supported by one of the largest research teams in Asia. Operating as one of OCBC’s private banking arm, Bank of Singapore, had $68 billion worth of assets under management at the end of 2015. Established on July 16, 1968, by the Government of Singapore to take over the industrial financing activities from the Economic Development Board, DBS since then has grown to become one of the largest bank in SouthEast Asia by assets. At the end of 2015, the private bank had S$97 billion (about US$70 billion) of assets belonging to high net worth clients. 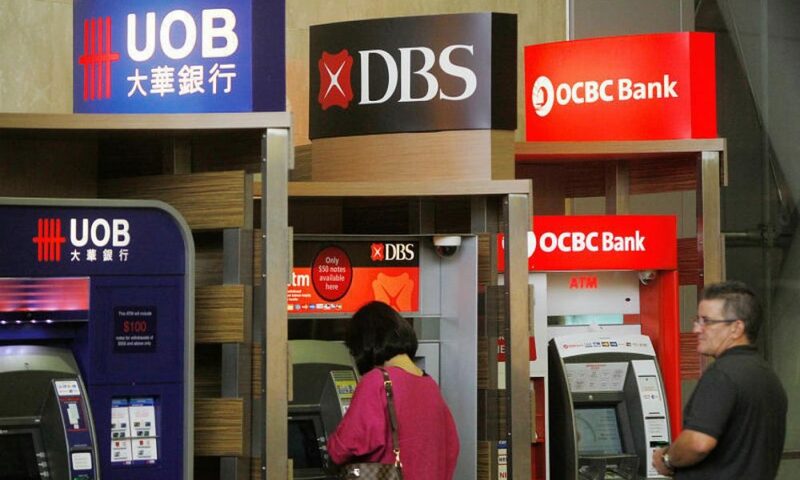 Both DBS Group Holdings Ltd. and Bank of Singapore, Asia’s largest homegrown private bank, are considering more acquisitions as they intend to expand their foothold onto a larger slice of Asian wealth market share, consisting of businesses from the region’s growing number of successful millionaires. The two banks are looking to intensify its focus on capitalizing the growing wealth in Asia, which will allow them to offset the drag on interest income by lowering global interest rates. Bank of Singapore, the Oversea-Chinese Banking Corp.’s private-banking arm said that it will definitely evaluate any opportunities. While the DBS acquisition criteria were also revealed in a Bloomberg Interview to be any deals that plays to DBS strength, fitting with the company’s strategy and reasonably priced. “We look at deals if it fits in with our overall strategy and there’s price discipline and we have both the bandwidth and the operational expertise to do so,” the Singaporean Bank’s consumer and wealth head, Tan Su Shan told Bloomberg Television’s Haslinda Amin on Tuesday. Some may question why are these foreign players dropping out of the game in spite of the fast pace growth in Asia’s private wealth scene. Slimmer margins amid rising costs, complex regulatory compliance and mounting pressure for higher returns are among their reasons for leaving as they are unable to achieve the scale needed to be quickly profitable. Nonetheless, this makes it a great time for Singapore banks to snap up these assets, to build the scale needed to overcome the same challenges without additional burden. Furthermore, these consolidations will help gain a competitive advantage and scale to work in this wealth business environment. As seen with the move on ANZ Banking Group, DBC has added about 1.3 million people to its client list, including about 100,000 deemed affluent or private wealth customers. Similarly, the Barclays deals have also enlarged the firm assets under management to be more than US$75 billion. This has also made it closer to DBS, which has ranked fifth in Private Banker International’s annual survey of Asia-Pacific Banks, with $79 billion of high-net-worth client assets. On a similar note, DBS Group Holdings Ltd. is among the companies which are considering bids for ABN Amro Group NV’s private-banking business in Asia, alongside with Julius Baer Group Ltd. and LGT Bank that have similarly expressed interests in the ABN Amro Unit. According to a 2015 ranking by Asian Private Banker, ABN Amro is the 18th-largest private bank in Asia, with $19 billion of assets under management in the region. Sources also told that this deal could potentially fetch more than US$300 million, would most likely be anounced by year-end. Tan Su Shan did not comment directly regarding this matter. Thus, the race is on for Singapore banks to acquire and compete for the largest wealth acquisition which will give it a leg up from its competitors. That is not only on the local level, but the acquisitions come at an opportune time for the Asia Pacific to overtake the Western Europe to become the second wealthiest region in 2017. Nonetheless, for local banks, the challenge also exis post-acquisition as they have to keep an eye out on the integration of the new assets, and retaining clients. But unlike DBS and BoS, UOB has not pursued acquisitions to expand its private bank, leaving it smaller than those of its two rivals. An American tradition, this year Thanksgiving has marked the start of a sales frenzy which continues on Black Friday and ends on the note of CyberMonday. The three holidays lined up to make the most frenzied shopping spree that leads up to the busy Christmas period which is lying only a month away. But it is not just the United States. As consumers from across the world had spent more than US$5.3 billion in the two-days sales starting on Thanksgiving last Thursday which was extended to Black Friday. This figure accounts for an 18 percent increase from the previous year, according to a report from Adobe Systems. In this scenario, Amazon, the giant internet business says that Thanksgiving is gradually becoming the new Black Friday as the company noted that some of its site’s Best Black Friday deals have already heated up during the “Turkey 5”. 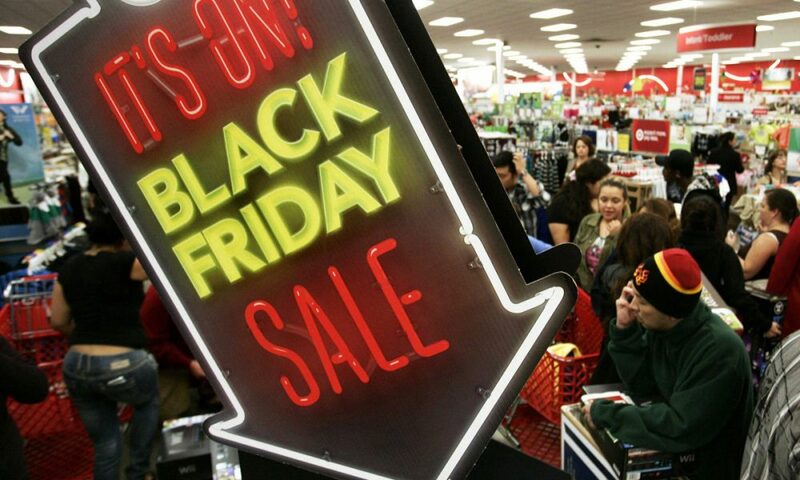 However, when evaluating just Black Friday, the sales remains the highest as compared to Thanksgiving. The popular shopping festivity accounted for an estimated US$3.34 billion by the end of the day, which is a 21.6 percent increase from the same day last year, as according to Adobe Systems. But comparatively, this year more buyers were going online for bargains and convenience instead of the traditional campout outside bricks and mortar shop. That is to say, online sales has outshined offline sales with spending via mobile devices on Friday in the United States seeing an increase of 33 percent to an all-time high of US$1.2 billion. These results were not unexpected as it was clear from the start that the mobile platform has a significant impact on e-commerce sales, looking at Alibaba’s Singles Day Sales which was held on November 11. Furthermore, mobile platforms are proved to be the more convenient option for customers as they can perform their shopping anywhere, anytime and in any way. Similarly, major retailers, like Amazon, Walmart, Target and eBay, noted that mobile traffic and sales were on the rise. Amazon said that mobile orders on Thanksgiving topped Cyber Monday last year, for example, while Walmart said that over 70 percent of website traffic on Thanksgiving was mobile. Target said that 60 percent of Thanksgiving sales were from mobile devices. What is interesting, however as reported by Adobe, is that smartphones do not drive as many conversions as tablets and desktops. Because while conversions have as a whole increased, smartphone conversions were the lowest at 1.9 percent, as compared with the conversion rates of tablets at 3.7 percent and desktops at 4 percent. Holiday averages also show a similar trend where it was still the lowest for smartphones at 1.3 percent, while tablets and desktop are 2.9 percent and 3.2 percent respectively. These results obtained in the Adobe’s report was based on aggregated and anonymous data from 22.6 billion visits to retail websites and consist of 80 percent of all online transactions from the top 100 U.S. retailers. Though it may be argued that Adobe’s sample does not cover the entirety of the scenario but still the sample is large enough for its numbers to be fairly close. Additionally, Adobe also noted this year’s top-selling electronics which were Apple iPads, Samsung 4K TVs, the Apple Macbook Air, LG TVs and Microsoft Xbox. While top-selling toys included Lego Creator Sets, electric scooters from Razor, Nerf Guns, DJI Phantom Drones, and Barbie Dreamhouse. On another note, a promotional email which reads “President-elect Trump loves a great deal” shows that even the President-elect Donald Trump has participated in the online sales excitement. On Friday morning, Trump’s online store has made an announcement that it was offering a 30 percent off deal on all campaign products, which includes a US$149 Christmas ornament.